All guide books and blogs advise visiting the city's main cathedrals: St. 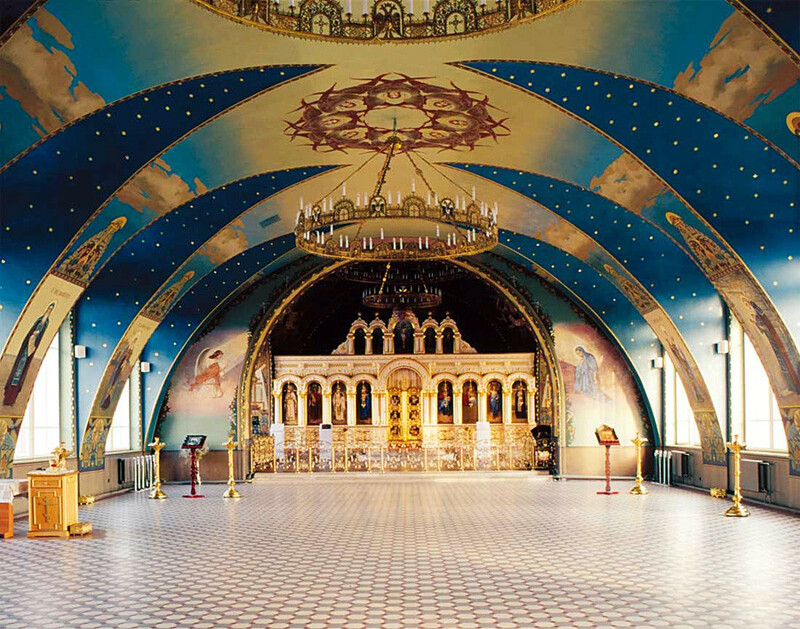 Basil's, Christ the Savior and churches inside the Kremlin. But let Russia Beyond show you some hidden treasures, beloved by Muscovites. This is a really picturesque place with a park and pond with ducks nearby and eight churches all worth visiting. 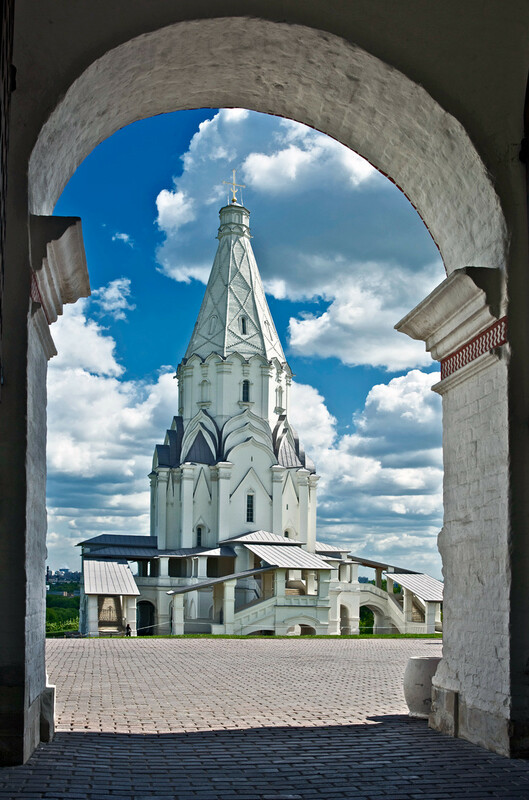 The convent is UNESCO listed as an example of Moscow baroque. It was founded in 1524 - before the Romanov dynasty - and was used as a center for negotiations during Russia's Time of Troubles in the late 16th and early 17th century. If you happen to be in Moscow for the 2018 FIFA World Cup, this is an easy side tour, as it's really close to the Luzhniki stadium. 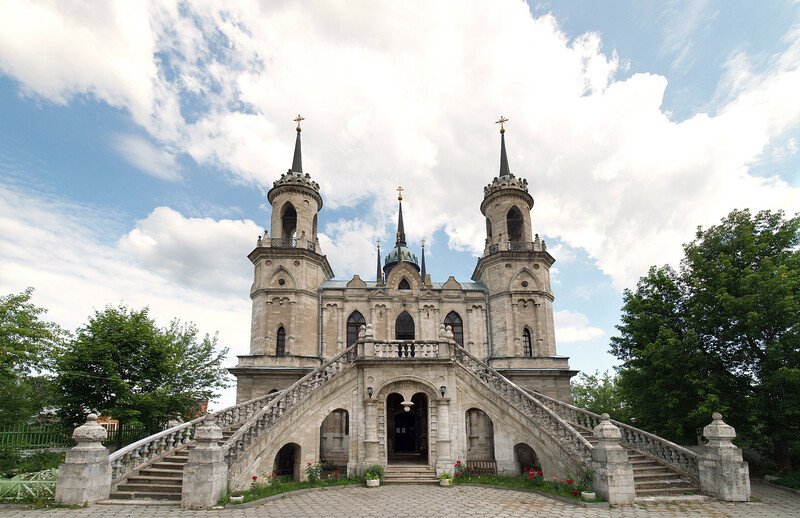 The main and oldest cathedral in the convent is devoted to the Our Lady of Smolensk icon. And when you enter the convent through the main gates, look up – there's another church right above your head. About 20 minutes' walk from the Novodevichy Convent, not far from Park Kultury metro station, there is a church devoted to St. Nicholas, more often called by the Russian Orthodox church, Nikolai the Wonderworker. He is one of the most revered saints in Russia. 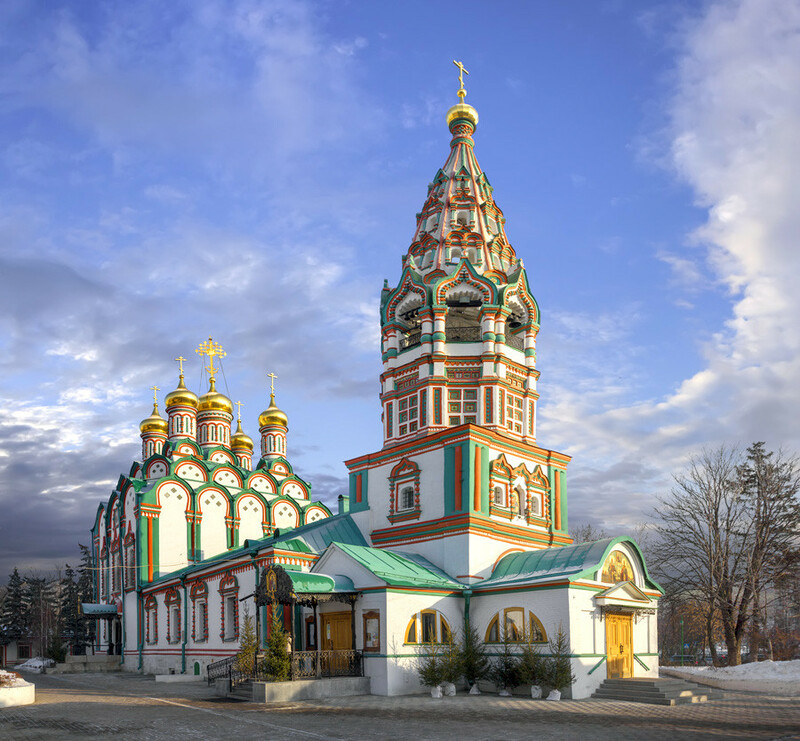 This beautiful church of Nikolai, which looks more like a gingerbread house than a place of worship, is an example of the so-called Moscow decorative style, or Moscow ornamentalism. It's an architectural style of first half of the 17th century (which in later buildings will be displaced by Moscow baroque). The main relic of the church is the icon of Our Lady Refuge of Sinners. Rozhdestvensky (Nativity) Convent was founded in the 1380s even before ancient Russia was united in the memory of those who were killed during the great Kulikovo Battle. The monastery is said to have been first situated in Moscow's Kremlin, but later moved to its current location, from which its takes its name – Rozhdestvenka street and Rozhdestvensky Boulevard. Soviet authorities closed the convent in 1922 and for 70 years the ancient clerical buildings served as offices, scientific laboratories, canteens and other Soviet needs. There were plans to turn it into an architectural museum, but in 1992 it was returned to monastic work. 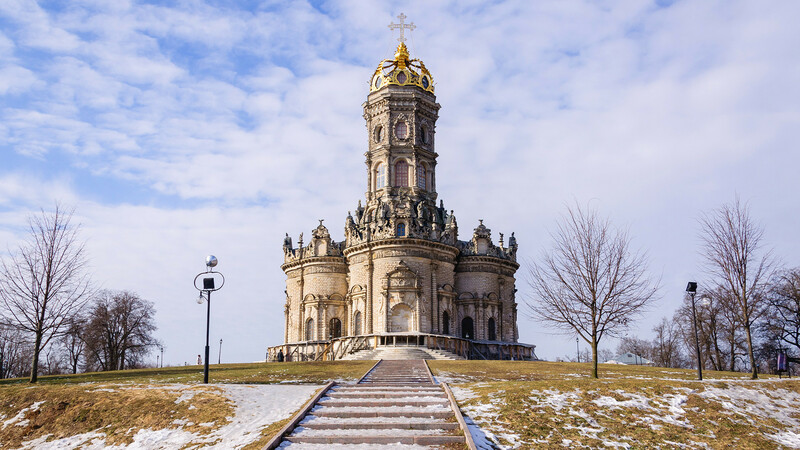 There are several nice churches inside like The Nativity church built in the early 16th century, or the Cathedral of Our Lady of Kazan, built 1904-1906 in an Old-Moscow style. The interior of this church is rather unusual, with sweeping star-studded images rising towards its broadly arched ceiling. Church services usually take place at weekends. Tightly hemmed in by other buildings, this red brick church is situated in narrow little Klimentovsky Lane. It is hard to believe that this was once the only stone structure in the area. It’s the biggest church of the Zamoskvorechye district of Moscow and is really beautiful. 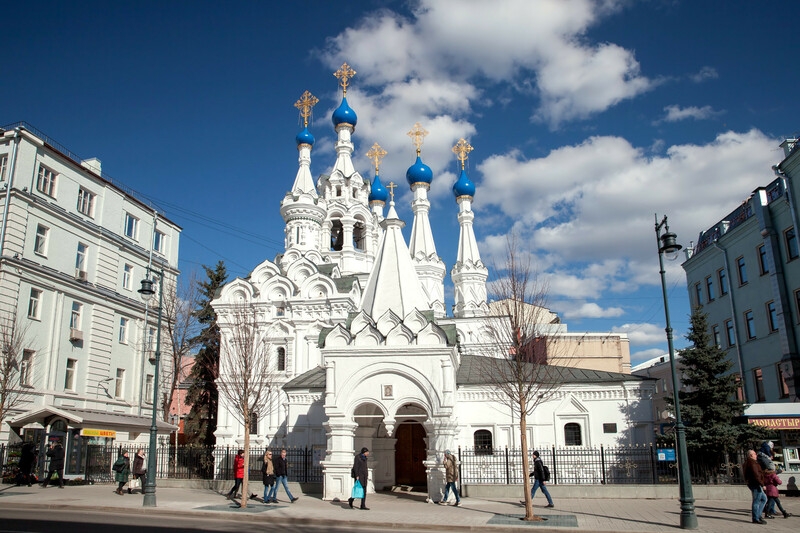 The cathedral was built and rebuilt during the 18th century in Moscow's ‘Elizabeth’ baroque style. Like many other churches, St. Clement’s was closed during Soviet times and was used as a book depository for the Lenin State Library. It was returned to the church in 2008 and restoration work began in 2014. The cathedral is situated next to Tretyakovskaya metro station, and it’s really convenient to drop into when visiting the Tretyakov Gallery. Another red painted cathedral on Bolshaya Polyanka street (a minute's walk from Polyanka metro station and 15 minutes' walk from St. Clement’s church), is really unique – just look at those three rows of lacy Kokoshnik decorations and five onion domes set upon windowless bricked arches (which are really rare). 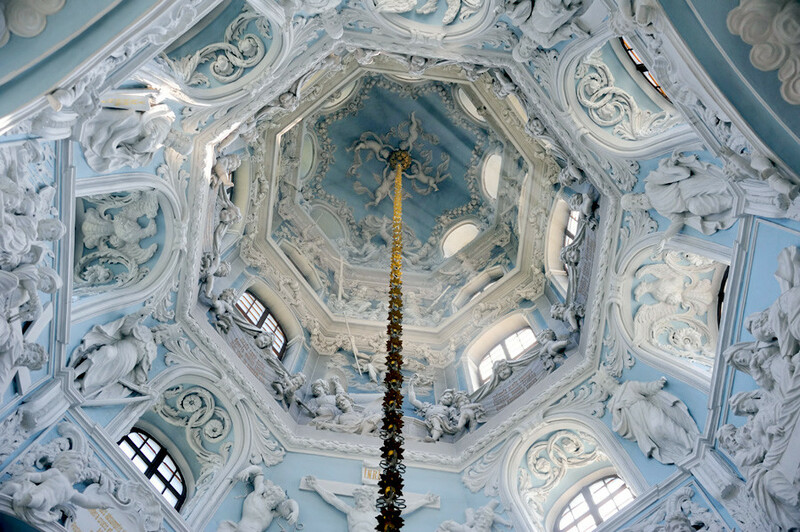 There are crowns on the crosses, which means that the church was built by order of the tsar. And this church was really beloved by many Romanovs. In this church the second Romanov tsar, Alexei, married his wife Natalya, and later their son, the future tsar Peter the Great, is said to have been baptized here. In the 1930s the church was closed, the iconostas damaged and a local priest repressed; church services were only revived here in 1996. The church has several revered relics, such as details of saints and remains of ancient icons – while the local chorus is something really worth listening to, even if you are not religious. 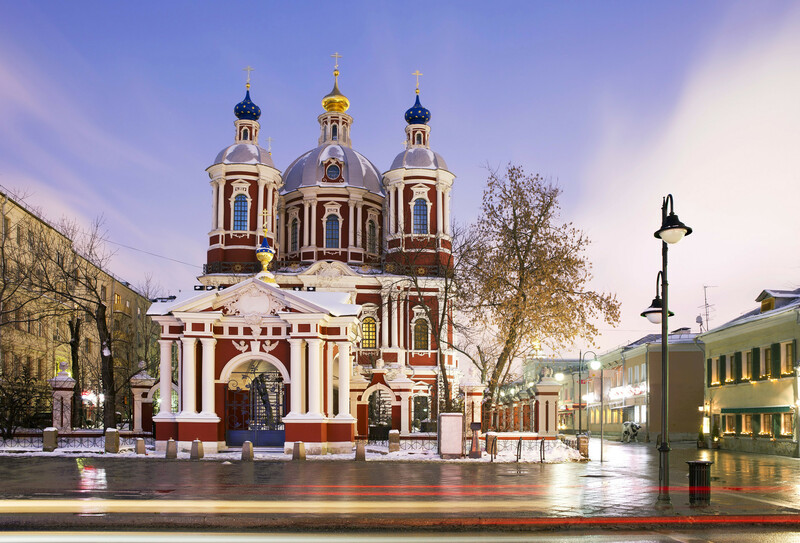 If you have seen Red Square, the red Kremlin walls and red walls of St. Basil’s (or those red churches, mentioned above), we are sure your eyes need a little rest, so here is a cozy and nice white church on Malaya Dmitrovka street, not far from Tverskaya street. The attribution “Putinki” has nothing in common with the Russian president, it refers to the word ‘put’ (a road), as 17th century ambassadors stayed nearby on their way to Russia’s northern cities. The cathedral is really special inside: small and dark, it has nothing in common with the golden pomp of some modern churches. On the ancient icons you can see jewelry – all of which was donated by the parish. Actors of the Lenkom theater, which is located next door, are frequent visitors. We advise you to visit the theater (but better only if you know a little Russian). In the 18th century Alexander Naryshkin, a cousin of Peter the Great and representative of an old noble family who owned an estate at Kuntsevo, built a church here. 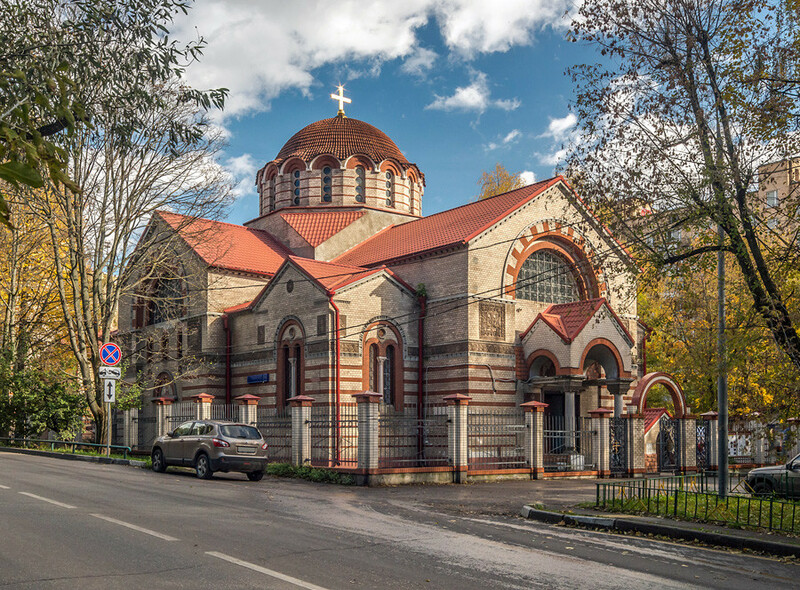 In the early 20th century, a decision was taken to completely rebuild the church in the (rare for those times) Neo-Byzantine style. The current “basilica” was opened in 1913, but like so many other churches, closed in the 1930s by Soviet authorities and heavily damaged. It was re-opened in 1991 and now does a lot of outreach with young people and has a parish Sunday school. It’s worth not only visiting the church, but also taking a walk around picturesque Filyovsky park. Though the Naryshkin estate is now closed, there is a nice café Usadba (“estate”) where you can get a bite afterwards. Pionerskaya metro station (blue line, 20 minutes ride from the center) is not far away. Kolomenskoye park is a great place to walk and it will make you feel like a Russian boyar of the 16th century. It was Ivan the Terrible's father, Vasily III who allocated funds for building the church in 1528-32. Legend says that building a new house of God was Vasily's prayer for his wife to give birth to a son. Other sources say it was done in gratitude for the fact that Ivan was born. Of course, the current image of the church is not the same as 500 years ago, the cathedral was rebuilt and restored many times. But still, even within the last century, interesting details have been revealed, such as the so-called “tsar’s place” or remains of the northern gateways. Anyway, just feeling the spirit of those times is magnificent. 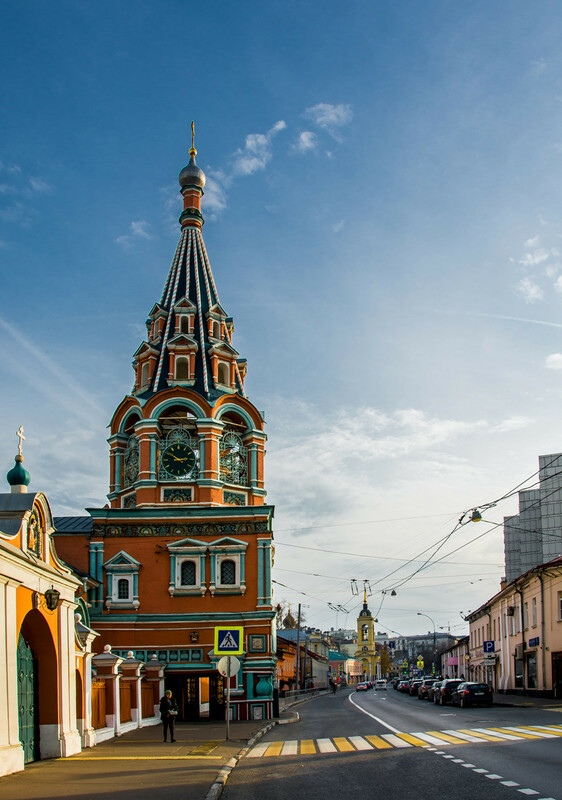 For a very unusual clerical experience, it is necessary to go further afield, into the Moscow Region. This church looks like a gothic castle from the movie Beauty and the Beast. It was built on the territory of the Vorontsov-Dashkov estate, now abandoned, but still a very interesting place to walk around. 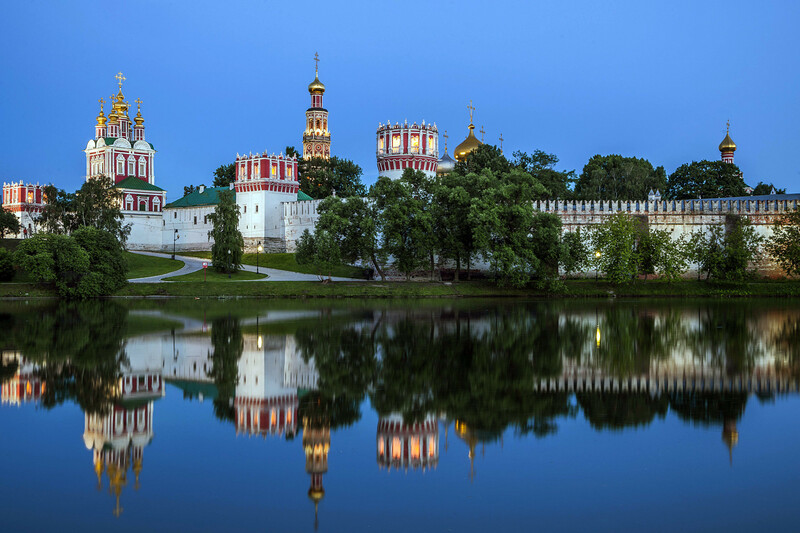 Some experts say that the church is reminiscent of the style of famous architect Vasily Bazhenov, who built Tsaritsyno Park and Pashkov House in Moscow. Inside the church is really small and not very impressive; restoration work is still underway inside and out. Stunning views of this church will just take your breath away (see the cover photo). If not for the cross on top, you would probably never imagine that it’s an Orthodox church. Inside the church is no less great, with frescos right up to the cupola (don’t twist your neck staring at it). The church is situated on the banks of Pakhra river and there is a great park nearby. This is also one of the most popular places for weddings in the Moscow Region (and the registration office is just a minute's walk from the church).